In my last few weeks in California I used as many of my contacts as possible to meet with impressive business folk around the notoriously entrepreneurial bay area. 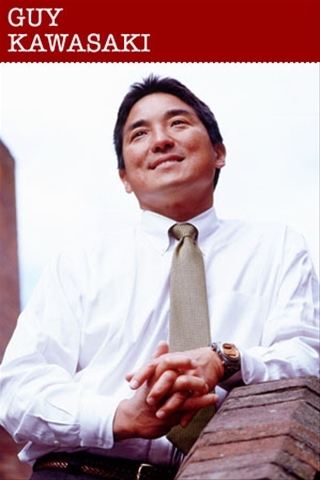 One of these meetings was with Guy Kawasaki (About, Stanford, wiki, .com, blog, VC, LinkedIn, truemor, allTop, twitter). OK, so as is evident from the endless URL list this “guy” is all over the web. Guy is an evangelist, an entrepreneur, an investment banker, and a venture capitalist. He is better known for a couple of specific things: one of his books (‘The Art of the Start‘, Video), and also for being a software evangelist (i.e. Apple). So one would assume having the privilege to meet Mr Kawasaki would inspire and motivate. Before I proceed, a very large thank you to Kathy, “Empress of the Universe”, for introducing me and arranging the meeting. If my narrative of the meeting seems a little concise this reflects the brevity of the answers and entrepreneurial insights offered by Guy – who I only can assume was having a particularly bad day. He is a major evangelist for pursuing meaning in all aspects of business. In other words to follow ideas/concepts/businesses/plans with a fidelity that accurately reflects the meaning you see in them. His mantra both personally & professionally is to “empower people”. Its fair to say his startups are in line with this given that they include two news aggregators and a VC firm (20 Million fund). Mr Kawasaki may be an evangelist but he certainly is not a futurologist, nor is he interested in projecting technologies for that matter, something I found to be very strange for a VC immersed in technology. When I asked him about conservative IP strategies versus getting to market fast he wholly encouraged me to take option 2. Build the prototype fast and get to market faster. There’s isn’t a lot more to recount as Guy wasn’t playing ball at all! Given the disappointment from this encounter I probably also learned an important lesson – to remember to share and disseminate any acquired knowledge and experiences freely at all times with aspiring individuals who show interest. 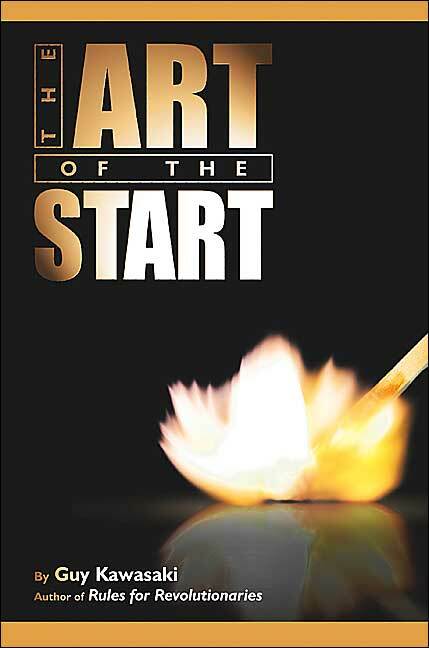 Despite this disappointment I wholly recommend his book, ‘The Art of the Start’ , as a must-read to anyone interested in starting a business of any kind. 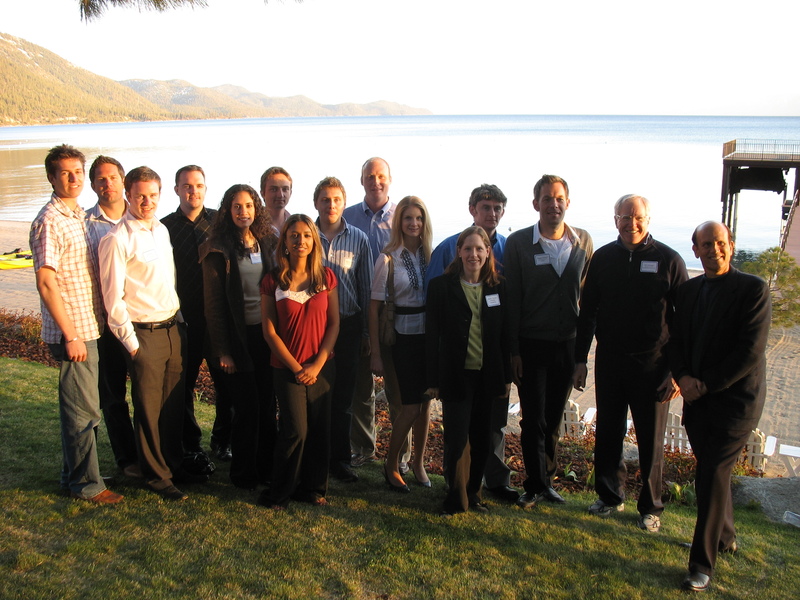 During the 2nd week in May the Global Scholars were hosted by the famous Mike Milken (wiki) at his lake side estate at Lake Tahoe. One’s preconceptions of such an event are obviously going to be well above par given this man’s reputation and illustrious path to infamy. 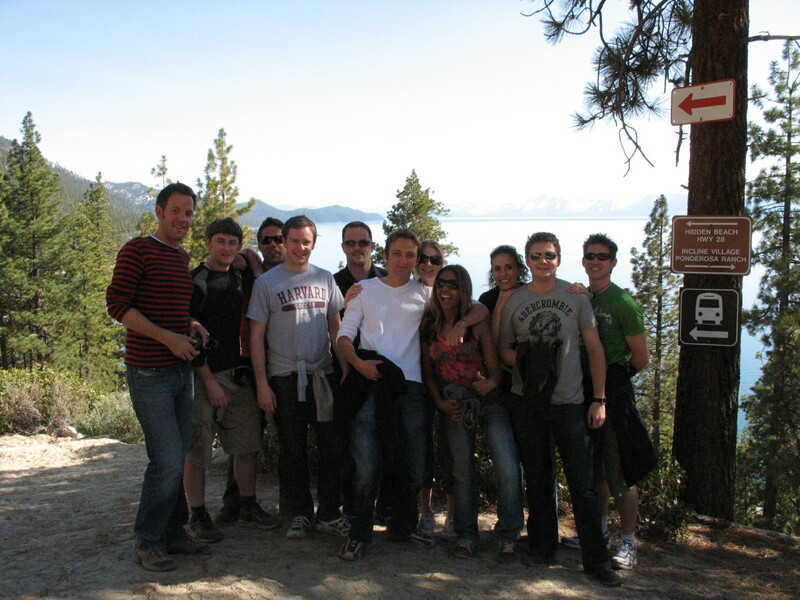 The purpose of the trip was to expose us to one of the most successful investors/entrepreneurs the US has to offer. 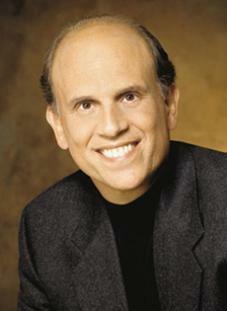 Mr Milken has been acclaimed with creating the market for junk bonds in the 70s & 80s. The “Junk Bond King”, who according to Forbes is one of the world’s top 500 richest men (estimated at 3-8 Billion), has been called the epitome of Wall Street greed. Oliver Stone has stated that his 1980s film Wall Street was based on Mike – although in my opinion the ultra-cool Gordon Gecko character over-glorifies most aspects of the man’s Wall Street activities. Regardless of this, having the opportunity to meet and talk with the Junk Bond King was a unique and once off event – to be embraced and not wasted. Mr Gecko’s, sorry I mean Mr Milken’s hospitality was next to none in Lake Tahoe. He put us up in his lakeside home at Incline Village and basically gave us free rein of the place. 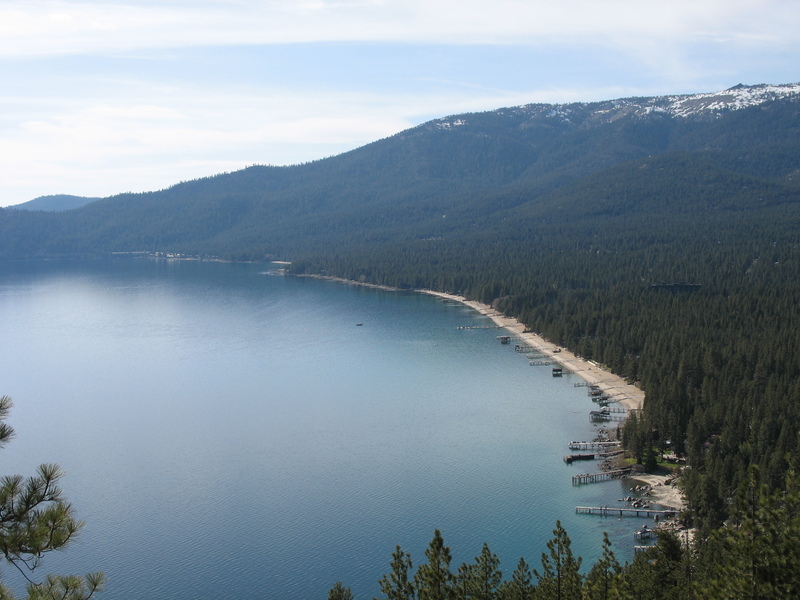 He had a personal trainer on hand to bring us for a scenic hike around tahoe. Its fair to say we were all impressed with his mansion and its impressive décor, which included thee first print of Encyclopaedia Britannica and apparently 2 of the oldest books in the world (religious illustrations)! Over the 3 days he co-hosted various entrepreneurs and investors with the Sierra Nevada College (SNC), in order to provide us with exposure to thought-leading business minds. Some of these included Bob Preger (7th Oracle employee), Roger Wittenberg (Founder of Trex), Bob Goff (Sierra Angels), Rob Loughan (Chairman of Dexterra, profile), John Osborne (CEO of Tarsin), T.J. Matthews (CEO of IGT), Andrew Hargadon (Prof at SNC), Ian Finnimore (Bally Technologies). Milken proposed the following top 10 problems facing the world: democracy, disease, education, energy, environment, food, population, poverty, terrorism & war, water. – A bid he put in to buy a 99 year lease of Baja California (wiki) for 40 Billion USD!! He explained that the purpose behind this was to give his organisation exclusivity in developing Baja’s public services, utilities, services, schools, hospitals, infrastructure etc. John Osborne: Regards first mover advantage- most ideas are too early; Support networks are key- its still all about who you know! ; Hang on by your fingertips! ; Do something different tomorrow; Have fun; Its how you come at problems that important. Ian Finnimore: Stay wide enough with technology offering so that business can adapt; In relation to the entrepreneurial attitude in the States Ian proposed that this was inherent in the original Pioneers that travelled across the continent creating and occupying American States. Mike Milken: Make time to think; Your talent pool is the “flat” world; Decide when you’ve enough information to make a decision – when you actually have enough you’re army is usually dead (General Schwarzkopf (Quotes)); One must make mistakes and have problems; Various parameters are important when discussing capital finance- markets, industry, economy, regulation, your company, but most important is society (a company’s benefits to society; values; problems being solved/caused); The best time to borrow is when you don’t need it; Don’t rely on one customer; Opportunity is what you love; “There’s more to life than increasing its speed” (Ghandi). Sierra Angel #4: listen to what the customer wants; 4 levels of interest from prospective customers (1) they’ll pay you to build it (2) they’ll buy it from you (3) they’ll consider looking at it (4) they don’t care. Sierra Angel #5: do your due diligence/home work; build your bets “mouse trap” before seeking investment (prototype & bus => best possible investment deal); Succeed now, contribute in your 30/40s! – in order to make substantial money from a new venture, you need financial resources to capitalise on the potential opportunity. That means attracting investors— which requires relinquishing control as you give away equity and as investors alter your board’s membership. – to remain in charge of your business, you have to keep more equity. But that means fewer financial resources to fuel your venture. So, you must choose between money and power. Wasserman suggests that one begins a new venture by articulating their primary motivation for starting the business. Then to understand the trade-offs associated with that goal. As your venture unfolds you must be monogamous with that goal, and make choices that support, rather than jeopardise it. 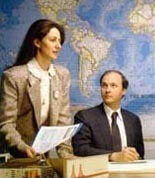 As an example, Cisco was founded by Stanford graduates Sandy Lerner and LenBosack in 1984. John Morgridge, the first CEO managed to push out the 2 founders in 1990, following difficulty between him and Lerner. Lerner has been described as a “powder keg of passion and emotion who couldn’t conform to the discipline and methods of business management”. Morgridge couldn’t make her fit in, so she was asked to leave and Bosack soon quit thereafter. This is a good example of a Founder struggling to deal with removal from the “King” role and ultimately being forced out of the venture. The CEO of startup XYZ who I have met in Silicon Valley, and who is at Series C VC funding, approaches his position as Founder CEO pragmatically, or at least this is what he communicates. I found his attitude very interesting – that he goes to work everyday knowing that it could be his last as CEO of the company he founded. When we met him he acknowledged that any day the VCs involved with his company could decide to replace him as CEO, and that he was willing to accept this decision. I was unsure whether I believed him but was willing to give me the benefit of the doubt. Noam Wasserman suggested that CEOs will often tell VCs that they’re willing to stand aside at any time, but whether they mean this is a completely different matter! My View: Through my training as a Global Scholar I have learned that the Founder does not encapsulate the company. One should always separate themselves from the business entity from the start. It’s important to consider what’s best for the business as a sole entity, separate from the interests of the founder(s). This is the approach adopted by the Stanford Enterprise Center regarding University spinouts – they actually make founders apply to the Enterprise Center in order to obtain the license for technology they themselves created – thus competing with any other company for rights to develop the technology/concept/business! This is basically the Rich approach, as apposed to King, as it necessitates relinquishing equity to foster rapid development. It seems ridiculous that a founder should have right of passage to the CEO position when a company is functioning and operating 100%, and is significantly funded by external entities. If one doesn’t have experience in such a role, why would it make sense? Founders’ passion is an essential ingredient to the persistence required at the startup phase. It can assist a founding CEO in evolving and learning rapidly on the fly. OR this emotional attachment could hinder their ability to function effectively as a MNC’s CEO, and make logical decisions about the company’s future. – Maintain it: if milestones and targets are met. Subsequently increased job (CEO) security (and other incentives) could be provided to allow the CEO to function more effectively and under less unnecessary pressure. – Relinquish it: a worse case scenario could be established to allow the founder to take another position in the company, perhaps as CTO or as right-hand-man to the CEO? This could take the form of the Founder “Co-CEO” using their extensive knowledge of the business and intimate understanding of it to compliment the new CEO’s superior management and economic knowledge. There may be various possible solutions to the ‘Rich vs King’ dilemma but I still think that having the right type of management, investment, advice team is key. This has been reiterated by alot of the thought-leaders I have encountered in the Global Scholars program. But most recently this was advice given to me by the Cisco kingpin himself – John Chambers! Cisco Internship: OK its time I got back on the blogging boat and provided some updates on life as a Global Scholar interning in Silicon Valley! Having been in San Jose since Saturday 8th March, Marcus and I have settled well into our penthouse at the Four Seasons in San Fran. OK, only joking, we are actually based in a corporate wannabe-village called River Oaks in San Jose, only 20 minutes walk from Cisco City! It has been an absolutely fantastic experience here in the Valley so far. Not only does the permanently sunny weather make it a joy to live in but the mountains surrounding the valley make it a perfect location for a cycling fanatic! I started my internship with Cisco on March 10th and the other Global Scholar based in San Jose, Marcus, joined InCube Labs. 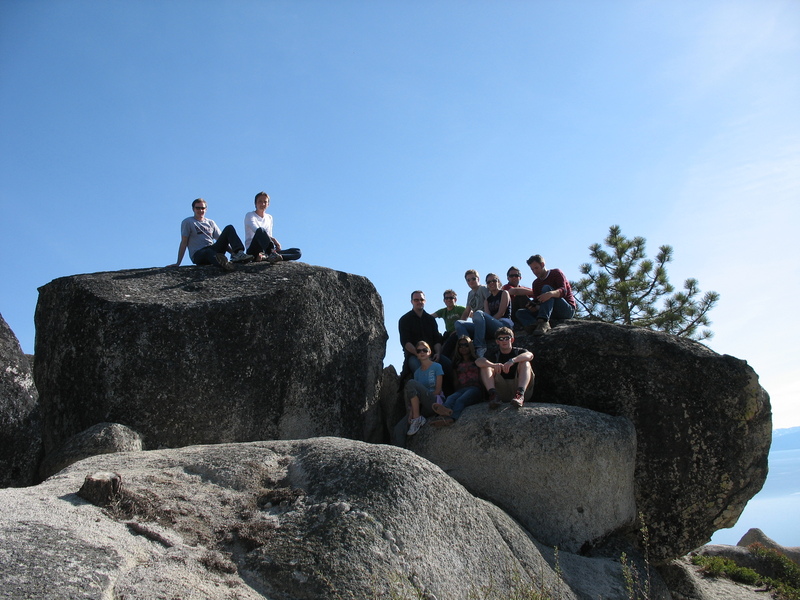 Cisco Internship: My Cisco internship supervisors are Rick Hutley and Dave Evans. Rick is a Senior Director within the Internet Business Solutions Group (IBSG) at Cisco where his main role is in directing activities within the horizontal Innovations Group. He has more than 26 years of experience within the telecoms and IT industry including various roles at CxO level. Dave is IBSG’s award winning chief technologist and is a Cisco veteran having been there for over 15 years. He is an overall technology evangelist and genius. Basically they’re the kind of guys you want to be around! Now a little about IBSG– the group provides free consultancy at CXO level to Fortune 100 companies as well as many international Governments. Interestingly IBSG does not promote or sell Cisco technology. In fact, to the contrary, they actually intentionally avoid mentioning Cisco products or services during their client interactions whatsoever! This seems strange as the salaries of the 300 or so IBSG employees are paid by Cisco! John Chambers’ approach here is that if IBSG promote solutions that in general utilise technology, these will in the most part utilise Internet connectivity in some shape or form. So in a round about way Cisco, owning about 80% of the router market, benefits from the group to an estimated tune of $2-3B in revenue PA! Chambers’ attitude, given his sales background, is focused on keeping the customer happy. What better way than with free world class CXO consultancy?! So this gives you an idea of the calibre of the people I’m working with here in IBSG. They all hail from an amazing diversity of backgrounds, and all have excelled in their fields in order to be fortunate enough to make Cisco’s IBSG team! I was allocated a project, called the Connected Technology Framework, to manage and develop based on a concept of Rick and Dave’s called the Tech Tsunami (i.e. the imminent exponential development/availability/onslaught of advanced technologies, somewhat based on Kurzweil’s beliefs). Essentially this project encapsulates a model for projecting technological development in the future, the adoption of technology over a given period, and its availability for utilisation within IBSG solutions; these solutions being a result/part of interactions with IBSG’s clients. 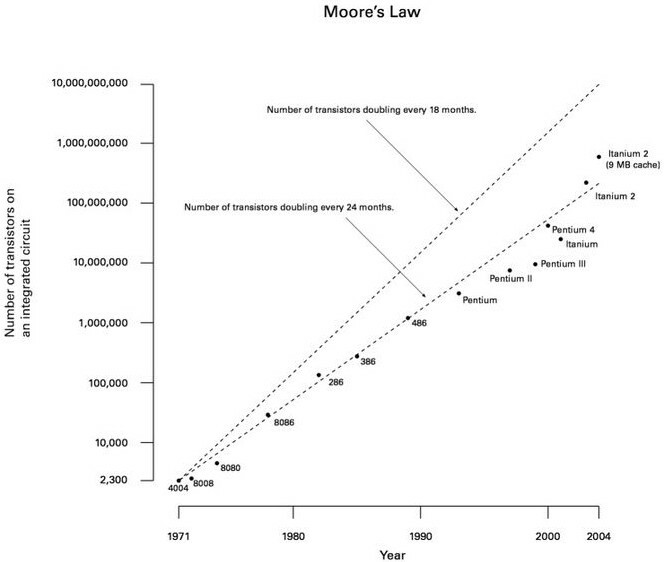 The model is primarily based on Moore’s Law and the many variations of it. The model is manifested as a GUI using the Xcelsius flash engine. Currently I have it working based on projected data for about 30+ variables related to computing processing speeds & cost, storage costs, and networking speeds & costs. I’ll provide an update on this after I finish it and possibly make a version of it available online. Week7: On Thursday (6th March) evening we had a social gathering with students from MIT’s Entrepreneurship & Innovation Program, which is a new offering within their MBA Program. It was interesting to hear about the various motivations of the students doing an entrepreneurial MBA, most of whom seemed to already have PhDs or similarly impressive postgrad qualifications. Following this event we went to watch the semi-final of MIT’s annual 100K business plan competition. As the world leader among university entrepreneurship competitions, the Competition, which was born in 1990 as a $10K Competition, has facilitated the birth of over 85 companies with aggregate exit values of $2.5 billion captured and a market cap of over $10 billion. These companies have generated over 2,500 jobs and received $600 million dollars in Venture Capital funding. We were particularly interested in the keynote speech by Jonathan Seelig Co-Founder of Akamai and now Managing Director of Globespan. Seelig gave quite a humorous talk based on the presentation he gave 10 years earlier as Akamai’s 10K competition entry! It was a great event with a few hundred in attendance, showing the calibre of the competition and how popular the hard working volunteer students who run the event have made it. After this we did some more socialising, this time in MIT’s students’ union bar where I bumped into the eccentric Joost Paul Bonsen. I had a pre-conceived plan to ping Joost on a social entrepreneurship project I’ve become involved in called Practical Small Projects (see previous HBS blog) so I quickly took the opportunity to sit and buy him a few beers. Joost also introduced me to a few of the MIT 100K judges who showed a lot of interest in my eco-homes project (one of these contacts led to comms with an MIT based company also working in residential greenergy), including one lady from the US DOE. Week7: On Thursday 6th March we had a seminar with David Ager who discussed IDEO (WiKi) with us and their unique approach to innovation. 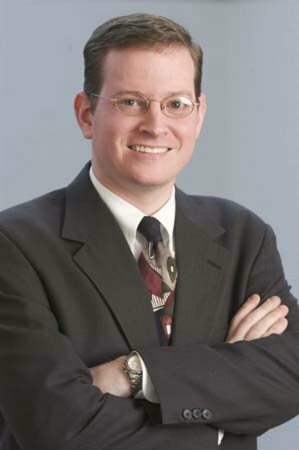 David holds a Ph.D. in Organizational Behavior from Harvard University. His research focuses on the intergroup nature of post-acquisition integration in the context of high growth entrepreneurial firms. Dr Ager has several years experience in the areas of joint ventures and alliances, and has also assisted a number of companies address issues of organizational development such as leadership development, talent management, change management, team building and succession planning. Silicon Valley-based IDEO has sparked some of the most innovative products of the past decade — the Apple mouse, the Polaroid I-Zone Pocket Camera, and the Palm V, among others. But IDEO staff don’t just sit around waiting for good ideas to pop into their heads. The company has institutionalized a process whereby ideas are coaxed to the surface through regular, structured brainstorming sessions. At Ideo, idea-generation exercises are “practically a religion,” says Tom Kelley, general manager of IDEO Product Development. David discussed IDEO’s approach to innovation under 4 distinct headings: Process, Organisation, Culture, and Leadership. In order to do this we watched the IDEO Deep Dive that was aired on ABC’s Nightline program in 2000. Process: Fail often in order to succeed sooner. Enlightened trial and error succeeds over the lone genius. Heterogeneous team with quirky & clashing ideas. Prototyping facilitates learning about the product. Prototype multiple ideas on a small scale to demo – build on something you can see. Market research – use anthropologists & engage end users – deadly if taken for granted; also immerse yourself in the associated product environment. Organisation: Flat structure focused on learning. No type-casting allowed -> heterogeneity essential. Culture: Don’t listen to the “boss”. Do the contrary! Trust in team members is core. Leadership: Team leader only facilitates – not an expert. They solely coach the process, but not involved in ideas. This allows freedom. This process is consistent. The fact that Tom Kelley leads this approach by example only serves to increase respect and trust. 1. Sharpen the focus: start with a well-honed statement of the problem at hand. Edgy is better than fuzzy. The best topic statements focus outward on a specific customer need or service enhancement rather than inward on some organizational goal. 6. Stretch your mental muscles: brainstorming, like marathon running, should begin with warm-up exercises. IDEO studied various methods of prepping for a session. For a project on the toy industry, for example, IDEO divided the group into three teams: The first team did no preparation. The second listened to a lecture on the technology involved and read background books. The third team took a field trip to a toy store. Far and away, the toy-store team produced ideas in greater quantity and quality than the other two. 7. Get physical: at IDEO, brainstorming sessions are often occasions for show-and-tell. Participants bring examples of competitors’ products, objects that relate to the problem, or elegant solutions from other fields as springboards for ideas. IDEO also keeps materials on hand — blocks, foam core, tubing –to build crude models of a concept. 1. Let the boss speak first: nothing kills a brainstorming session like a dominating CEO or the brownnosers who rush to agree with his every statement. IDEO recommends that bosses lock themselves out of idea-generation sessions all together. Send him out for doughnuts, and you’ll get better results. 2. Give everybody a turn: Kelley remembers packing 16 people into a room for one particular meeting. Each person had two minutes to speak. It was democratic. It was painful. It was pointless. It was a performance, not a brainstorm. “In a real brainstorm, the focus should never be on just one person,” Kelley says. 3. Ask the experts only: when it comes to generating truly innovative ideas, deep expertise in a field can actually be a drawback. “In a brainstorm, we’re looking for breadth,” Kelley says. Cross-pollination from seemingly unrelated fields can lead to authentic breakthroughs. 4. Go off-site: by conducting off-site brainstorming sessions, you only reinforce the concept that great ideas only come on the beach or at high altitudes – not in the proximity of your daily work. 5. No silly stuff: Kelley remembers one brainstorming session doomed by the boss’s opening remarks: All ideas had to result in something the firm could patent and manufacture. The silence that followed was deafening. Silly is important. Wild ideas are welcome. Brainstorming should be fun. 6. Write down everything: obsessive note taking is toxic to brainstorming. It shifts the focus to the wrong side of the brain. It makes the session feel like History 101. Doodles and sketches are fine. A short note that preserves a thought is acceptable. But detailed writing destroys momentum, dissipates energy, and distracts from the main purpose of the exercise: unfettered thinking. Each session should have an assigned scribe who records suggestions. And that person should not be the group facilitator. We had our farewell lunch today with our Harvard hosts- Hugo Van Vuuren (Lebone startup, Kirkland startup) and Paul Bottino. Special guest was Noam Wasserman who queried our new understandings of the ‘Founders as CEOs’ issue. following our various company visits around the States. Later in the day we visited IDEO‘s Boston office near Harvard. This was an extremely interesting trip as we got to throw all sorts of questions at the IDEO management present, including one from me comparing them to DEKA and Continuum, which seemed to leave them without a definitive answer! We also had a nice tour of their premises to see various aspects of what a famous innovative work environment such as theirs actually looks like. To be honest I expected more disorganisation and messiness from the non-stop innovation and brainstorming! It was actually quite organised and formal looking which I didn’t associate with a idea generating atmosphere. However this is their new office so perhaps the maverick knock-on effect hasn’t kicked in on the place yet. There was a very distinct difference to the work setup at DEKA and IDEO. 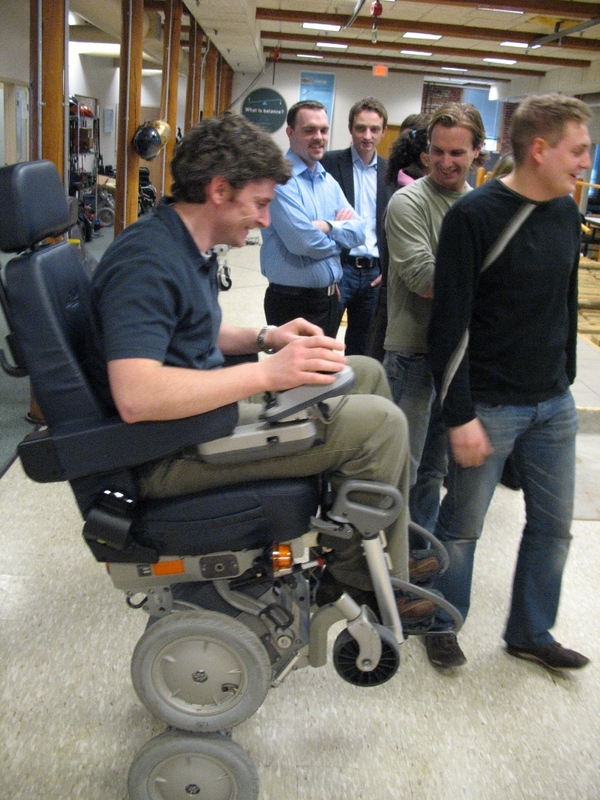 DEKA had a huge dedicated workshop with machines manned prototyping various products/components. Whereas at IDEO there was one unused rapid prototyping machine, which seemed almost out of bounds. Week7 Mar 3-7 2008: On Wednesday 5th we had an all day workshop on negotiation skills hosted by the Harvard School of Engineering and Applied Sciences. The workshop was given by Melissa Manwaring, Director of Curriculum Development for the Program on Negotiation at Harvard Law School. Melissa has taught negotiation theory and skills to thousands of clients around the world, including executives, attorneys, public servants, educators and students. Melissa introduced us to a framework of negotiation called The Seven Elements, which consists of 7 independent, non-sequential, dynamic elements, as shown in the diagram. The framework can be used at any stage during a negotiation including as part of preparation prior to the negotiation, in analysing/diagnosing issues occurring during a negotiation, after the negotiation to evaluate aspects of it. The framework itself is the result of research carried out by Bruce Patton and his colleagues at Harvard Law School. You can read about it in chapter 18 (‘Negotiation’ by Bruce Patton) of ‘The Handbook of Dispute Resolution’. If you’re interested the best selling negotiation book in history would be worth reading also: ‘Getting to yes: Negotiating Agreement Without Giving In’ (Google Books, Amazon, WiKi). It’d be impossible to detail everything we learned throughout this workshop but I’ll detail some of the main lessons and take-aways which I think will prove useful to others during negotiations. My favourite part of the was learning about how people perceive concessions and compromises during negotiations, as discussed below under the 4th element – Legitimacy. Check out the small graphic which represents in a very simple way how I perceive this process (of particular interest to me is where you place the ‘pseudo bottom line’ and the difference between that and your real bottom line). Alternatives are considered away from the table and don’t require the other party’s agreement. You need to determine your BATNA (Best Alternative To a Negotiated Agreement) and try to discover the BATNA of others in a negotiation. Try to improve your own BATNA and worsen others (in appearance or in reality)! During negotiation compare any potential agreement to your BATNA and realise that the other party will likely do the same. Interests define a party’s true needs/desires/concerns. Not always the same as stated positions. Positions = what parties say they want. Interests = why they want it. ID & prioritise your interests and try to ID theirs. To determine their interests (when they’re not stating them): make a proposal; if not accepted deduce their interests from their criticism of this proposal (e.g. ethics, timing, finance, value). Look for areas of potential clash and/or overlap. Distinguish interests from positions. 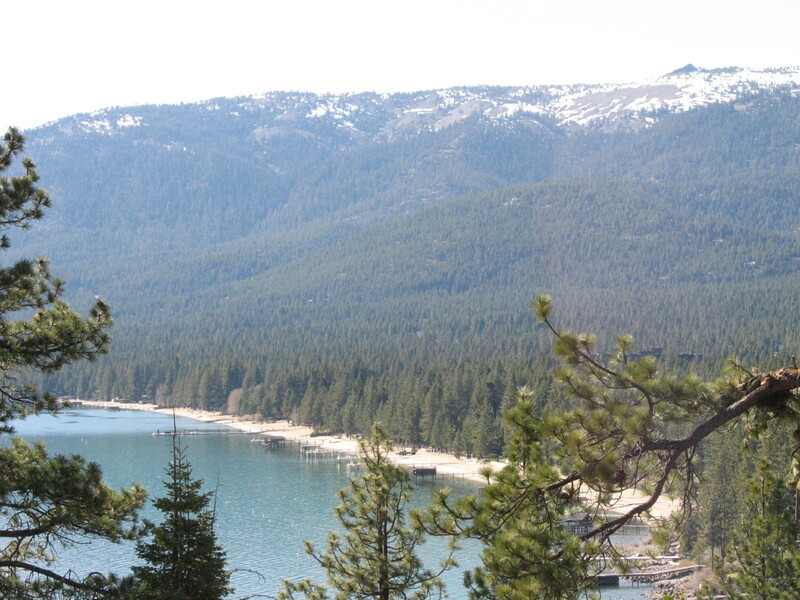 Offer ‘yesable’ proposals that address their interests. Look for ways to trade on differing interests. Options are the deals on the table which you might make or agree on with parties in the negotiation. Different options may exist for different issues. Before the negotiation: generate options for meeting both parties’ interests. During the negotiation: separate inventing from deciding; & package options on different issues. Legitimacy is one of the most powerful elements. It describes external criteria, standards & norms that can support the fairness of what you/they are proposing. Can help select among many options – to support a proposal, & also to protect against an unfair proposal. Research these norms in advance, e.g. market price for a specific product. – During a negotiation when a party is making smaller compromises/concessions => closer to bottom line (real selling price/limit)? As a seller narrow your compromises long before your real bottom line. As a buyer know your market and the standard bottom line or value for the product (e.g. house)! Compromise does not imply value. If SP is fair to start with then deal is fair despite lack of concession. Don’t measure success based on how much you/they concede- measure the deal objectively based on value. Identify the ZOPA – Zone of Possible Agreement. Amount paid has NOTHING to do with budget, only market value. Relationship is the element that defines how a negotiation affects relationships between parties/their agents/their constituencies. 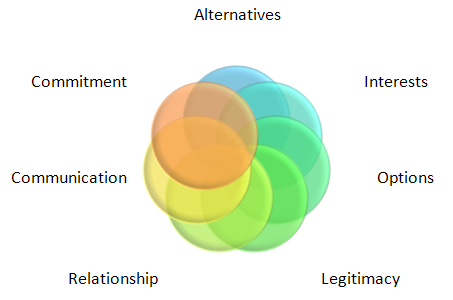 Before a negotiation: compare current relationships with preferred relationships; diagnose cause of any existing gaps; ID steps to change the relationship. During the negotiation: consider effect of various moves/options on relationships. Communication includes all types of verbal & non-verbal information exchanged between parties. Before the negotiation: decide what you want to listen for/ask about, disclose/say; ID possible communication barriers (diff background/language). During the negotiation: test for efficient communication – demo you understanding, and inquire about theirs. Real listening -> responsive to interests & concerns. Don’t prepare response when should be listening. Internal voice distracting as result of lack of prep and being nervous, both of which can be combated using 7 elements. Commitment is all about the agreement. Before negotiation: confirm levels of authority (Have authority to agree/commit? Require input from BoD or business partner? ); ID your preferred level of commitment. During negotiation: ensure any commitment are operational and durable (if desired); consider building incentives/penalties into commitment to ensure agreements are met, and in timely manner; determine how to confirm the agreement – writing/handshake/etc. Having studied the seven element framework for negotiation we put our new found haggling abilities to the test. Half of the 20 person group took one side of a sales negotiation and the other half took the other side. The case study for this involved a corporate drinks company negotiating a deal with a distributor in the Middle Eastern country. This exercise was a great testbed for our understanding of the 7 element. It proved difficult to employ all the new techniques simultaneously during a heated negotiation but a lot was learnt regardless. Melissa discussed lots of other topics during the day including Anchoring. This is the theory that the first figure on the table during a negotiation has a disproportionate affect on the final agreed figure! However this first figure must obviously be well researched & justifiable, presumably based on market value; similar to when buying a house. Determine if it’s a buyer’s/seller’s market. What alternatives exist for each party? Who’s in the dominant position? – Change the game by reframing interests (ask for reasoning), options (incentives) and criteria (justification). Week7 Mar 3-7: On Monday 3rd we had a lecture by Ntiedo Etuk who is Co-Founder, Chairman and CEO of Tabula Digita. Tabula Digita is an educational gaming company focused on delivering innovative and effective educational games to students and institutions. The games have all of the action adventure fun associated with mainstream games while simultaneously providing an efficient learning environment to better prepare students for high stakes exams. Tabula Digita’s games can be used as stand alone teaching programs or they can be used to support and enhance conventional teaching methods and materials. Tabula Digita’s experiential learning systems are embedded in a stunning first person, action adventure video game format which Ntiedo demonstrated for the group. The games were very impressive and something which would prove beneficial to educational institutions without doubt. Its just a matter of how fast Tabula Digita can convince State educational boards that this is worth paying for, and get past the usual red tape. On Monday evening the Global Scholars were invited to partake in a pitching competition against Harvard students. 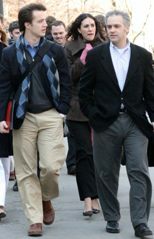 Angelo, George, Helena and I put ourselves forward to compete against 4 Harvard business and tech students. The challenge was an elevator or 1 minute pitch, which is definitely harder in my opinion than a standard non-restricted pitch. Angelo, our very own rocket scientist, won the competition, and a $200 prize! 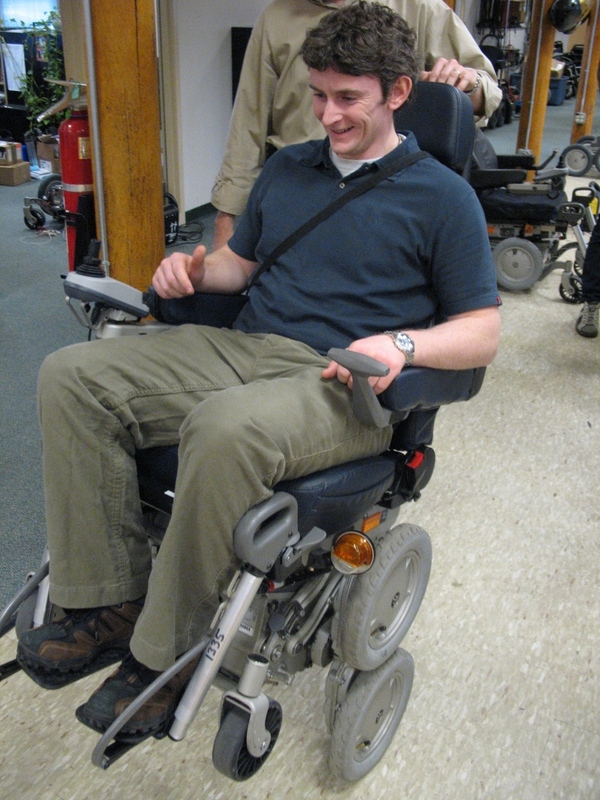 On Tuesday 4th we headed to Manchester New Hampshire to visit DEKA. 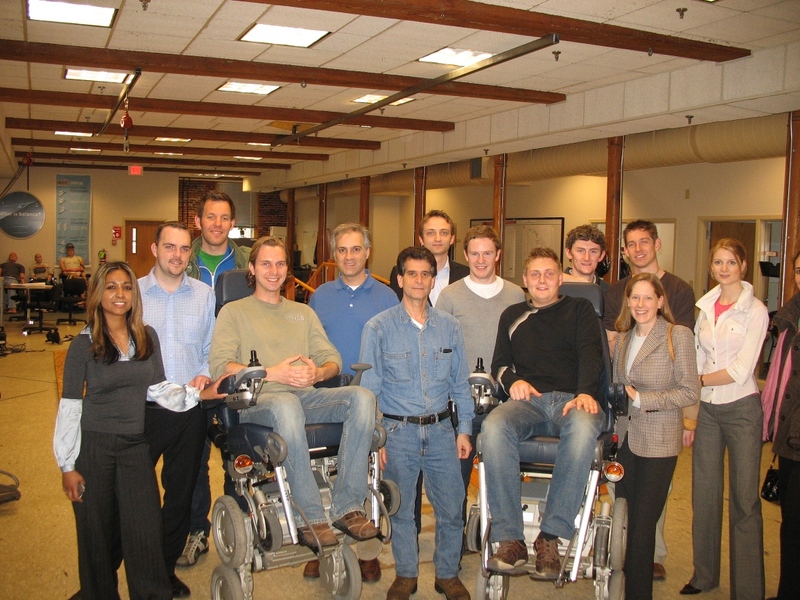 During our time here we had Dean Kamen, the genius behind DEKA’s creation, answering questions and guiding us around his research labs. DEKA Research & Development Corporation is focused on the development of radical new technologies that span a diverse set of applications. 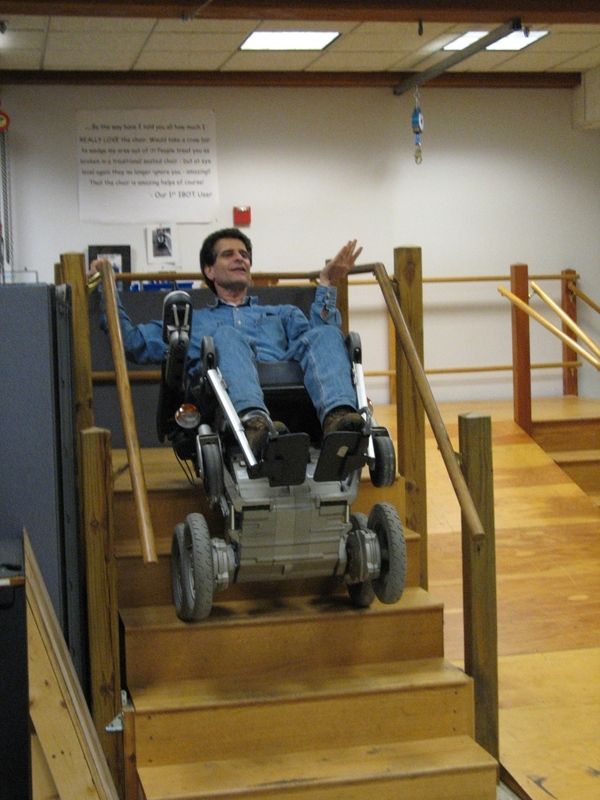 DEKA’s technologies, and the products which incorporate these technologies, are improving lives around the world. 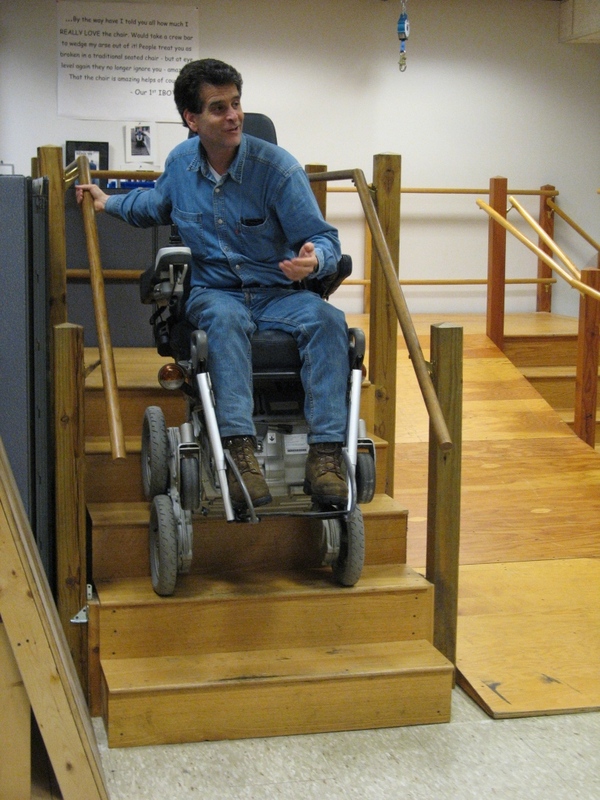 One example of this is the iBOT, a sophisticated mobility aid for the physically challenged, designed to climb stairs and traverse uneven terrain. 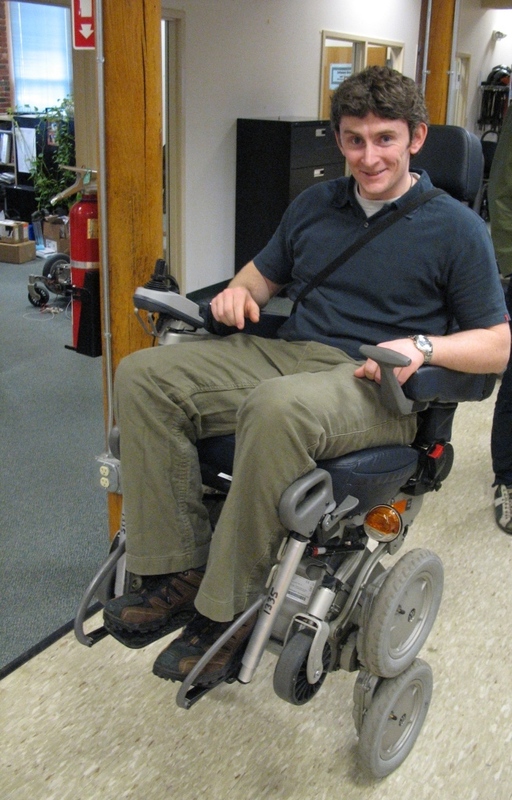 The iBOT uses self-balancing technology, allowing users to better operate in a world architected for those with balance. During our tour of DEKA’s robotics lab Dean demo’ed the iBOT for us and allowed each of us to test it for ourselves – it truly is an amazing piece of engineering. Another of DEKA’s more notable and public products is the prosthetic arm (video or story) they’ve developed for Iraq veteran amputees to resume a semblance of a normal life. 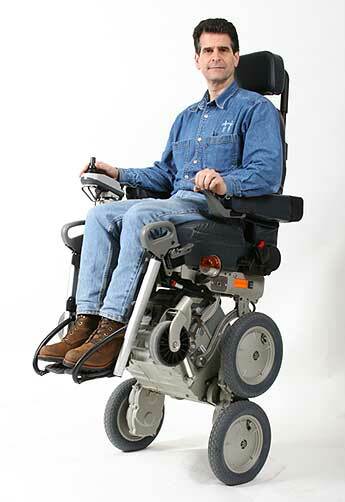 In case DEKA isn’t ringing any bells for you yet, they have also invented the infamous Segway personal transporter. It was a privilege to have spent the day with Dean, he had invaluable advice to share with us regards our own entrepprises going forward. “Succeed by raising the bar, not by forcing others under it” was a business approach he reiterated a few times. He had a few things to say about VCs that, to put it politely, would have no place on a family website! He talked a lot about Richard Feynman, who is one of my idols, so it was intriguing to hear his opinions on the “citizen scientist”, which Feynman referred to himself as. He highly recommended his book “Tips on Physics”.Dean shared various anecdotes with us, of which his experience of college is the funniest. He basically treated the entire faculty at uni as his personal tutors. In this way he skipped class and simply visited lecturers at their offices to chat about what interested him and what he needed to know for his various projects!! In general the attitude in DEKA appears to be very liberal, there’s no forced hierarchy which knocks ideas as they arise from the shop floor, no matter how crazy they seem initially. “We fund the success of our gizmos through the success of our formal projects”. “Everybody’s allowed to have dumb ideas!” Just a couple of insightful quotes I thought worth sharing. He talked a little about always striving to do the impossible and achieving market dominance through their ability to continually do exactly that. Also he emphasised that with every project they aim to always outperform and over-achieve on expectations. Following this we had some time in the evening to visit another of Dean’s projects – First Robotics. FIRST Robotics Competition (FRC) is a unique varsity sport help high-school-aged young people discover how interesting and rewarding the life of engineers and researchers can be. FRC challenges teams of young people and their mentors to solve a common problem in a six-week timeframe using a standard “kit of parts” and a common set of rules. Teams build robots from the parts and enter them in competitions designed by Dean, Dr. Woodie Flowers, and a committee of engineers and other professionals. Dean encouraged all the global scholars to get involved with the mission which FRC encapsulates – to encourage young second level students to realise the potential in engineering and research careers, through mentoring, volunteering and coaching.